VATICAN CITY (CNS) — Only those who recognize their own limits can accept the great gift of salvation in Jesus Christ, which is why Catholics with disabilities are such important and powerful witnesses of faith, Pope Francis said. 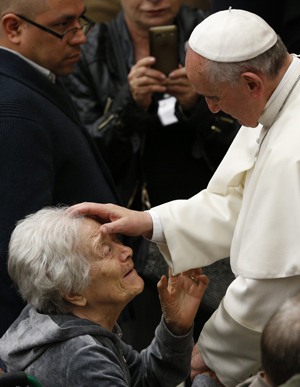 Meeting March 29 with close to 7,000 members, staff and volunteers of the Apostolic Movement for the Blind and the Little Mission for the Deaf, Pope Francis insisted it is “truly blasphemous” to believe that a physical limitation or disability is a punishment from God. “Jesus radically refused that way of thinking,” he said. 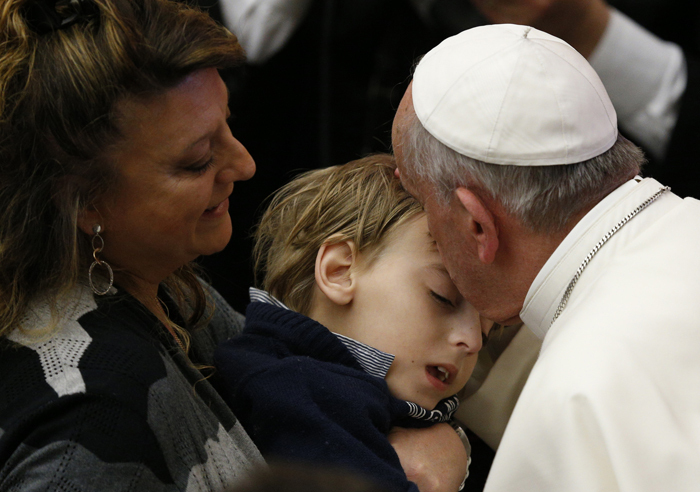 “The person who is sick or has a disability, precisely because of his or her fragility and limits, can become a witness of the encounter: the encounter with Christ who opens one to life and to faith; and the encounter with others, with the community,” Pope Francis said. “Only one who recognizes his own fragility, his own limits, can construct relationships that are fraternal and marked by solidarity in the church and in society,” he said. The key to being a trustworthy, effective witness to Jesus, he said, is first having had the experience of meeting Jesus. “A witness to the Gospel is one who has encountered Jesus Christ, who knows him or, better, feels known by him, recognized, respected, loved and forgiven. 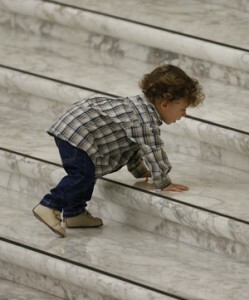 This encounter has touched him deeply, has filled him with new joy and given his life new meaning,” the pope said. 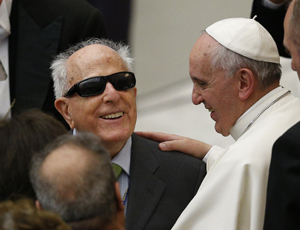 Discussing the story from the Gospel of St. John about the man born blind — the same Gospel story read at Masses around the world March 30 — Pope Francis said the man becomes a believer and witness to Jesus and to “the life, love and mercy” of God. Pope Francis, reciting the Angelus March 30 with visitors in St. Peter’s Square, returned to the Gospel story and urged people to read and re-read the ninth chapter of St. John’s Gospel during the coming week. The Pharisees, “closed in their presumptions, believe they already have the light and for this reason, they are not open to the truth of Jesus.” In fact, the pope said, their opposition to the light of Christ “becomes aggressive” and they throw the healed man out of the temple.